Mark Altermatt is a civil litigator who has practiced before the Connecticut State and Federal courts for over thirty years. 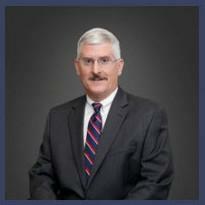 Mark's experience encompasses a broad range of practice areas, primarily focused on the defense of civil claims. In that capacity, he has represented schools, professionals, business entities, non-profit organizations and individuals in a wide variety of matters. Mark has extensive experience in all aspects of civil litigation, including mediation, arbitration, litigation before administrative agencies and the trial of bench and jury actions. In addition to the defense of automobile, premises liability, transportation, product liability and professional malpractice actions, Mark has worked extensively on behalf of institutions sued for the alleged negligent hiring, supervision and retention of individuals accused of tortious or criminal acts. Mark also has considerable experience in the litigation of fire losses (both defense and subrogation) and structural/engineering failures.